Windows© 10, 8, 7, Vista, XP, and 2000. 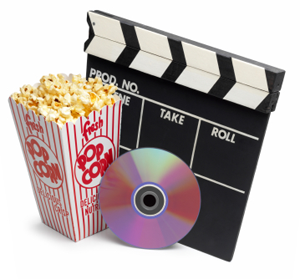 With its straightforward wizard interface, VideoWizard makes it easy to convert your DVDs and video files in nearly any format to play on your iPod. Simply select the video you want to convert, and let the wizard go to work. VideoWizard can convert virtually any format of video to play on your iPod (AVI, WMV, MOV, MP4, DVR-MS, DIVX, XVID, FLV, x264, VOB, MPEG, etc.). Even better is that we do not require you to know the ins and outs of the dozens of different types of video formats out there – simply select the video you want to convert to your iPod, and let VideoWizard do the rest. Whatever the source of your video, it is probably not optimized to play on the small screen you find on your iPod. The result is that the video will take up too much space on your iPod, it will not look as good as it could, and chunks of the video could be poorly cropped during playback. VideoWizard will optimize any converted video specifically for your iPod. A typical movie which has not been optimized could consume a couple of gigabytes -- after optimization, it might take up less than a quarter of that, without any noticeable loss in viewing quality on your iPod. Easily convert DVDs to play on your iPod. VideoWizard is ideally suited to converting all of your videos, so you can watch them on the go. Ever wish you could easily take your home movies with you to show friends and family? Convert any digital home movies to play on your iPod with VideoWizard. VideoWizard has optimized CODECs and conversion options to provide you with blazing conversion speeds that rival any player in the market. Whether you want the highest quality output, the smallest output file size or something in between, VideoWizard makes it easy to balance the quality of your videos versus file size. At the highest quality level, VideoWizard produces nearly flawless videos for your iPod. VideoWizard comes with free updates and free upgrades for one year, so you will always have access to the latest and greatest features and functions. Our goal is to build products that our customers will rave about, and we stand behind them from beginning to end. For that reason, we always offer free support. Install VideoWizard on up to 3 PCs per paid license. It is simple to use and easy to navigate through. The quality of the picture on the i pod looks very sharp for such a small screen. I just added the file to iTunes and it placed it in the movies folder for me. Thanks for the speedy reply. I just want to let you know that your software is awesome! iTunes and iPod are registered trademarks of Apple Computer, Inc.
You appear to be accessing our site from a Macintosh computer. Unfortunately, we do not currently have a version of this product which works on Macintosh computers. If you are planning on using VideoWizard from a Windows computer or using Bootcamp, then please pardon us for the interruption and click Proceed to continue with your purchase. Thank you for your interest in VideoWizard!